Michael Birdsell is the founding member of Birdsell Grant LLP. He earned his Bachelor of Commerce from the University of Calgary in 1976, followed by his Bachelor of Laws from the University of Alberta in 1980. In 1984, three years after being called to the Bar, he founded the firm that would become Birdsell Grant LLP when his former classmate, Alastair Grant, joined as a partner. Mike was a Partner at the firm for thirty years, from 1984 to 2014. On December 31, 2014, Mike retired from active practice. Although Mike is no longer taking on client matters, he continues to provide guidance and support to the lawyers of the firm in his role as “Counsel." 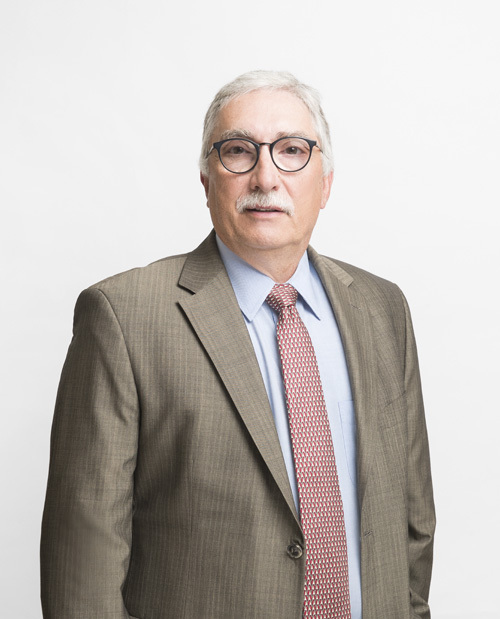 Mike has over thirty years of legal experience in the areas of municipal law, real estate, wills, estate planning, and corporate and commercial law. His clients included families, small businesses, individuals, corporations, local government and other organizations, for whom he has appeared in the Provincial Court of Alberta, the Court of Queen’s Bench and the Alberta Court of Appeal. Over the years, Mike has become a leader in the tri-municipal community. He has previously served as the President of a variety of community and recreational organizations including the Stony Plain Chamber of Commerce, the Alberta Chamber of Commerce, the Rotary Club of Spruce Grove, the Stony Plain Heritage Agricultural Society (Multicultural Center), as well the Edmonton Petroleum Golf & Country Club. Mike has also served as an executive member on the boards of various community, sports, educational, cultural and charitable groups. Mike has been recognized for his long-standing community involvement. He was recently awarded the Thirty Year Membership Pin from the Law Society of Alberta. In 1998, Mike received the 125th Confederation Anniversary Commemoration Medal, which was followed by the Queen Elizabeth Golden Jubilee Commemorative Medal in 2002. Mike was also awarded the Paul Harris Fellow recognizing past service to the Rotary Club of Spruce Grove. On December 31, 2013, Mike was admitted as Queen’s Counsel (Q.C. ), which is an appointment reserved for lawyers who have made outstanding contributions to legal and public life. In his spare time, Mike enjoys staying active through sports such as golf and squash. Mike is also interested in music and performing arts in Alberta. All inquiries for Mr. Birdsell may be directed to Theresa Chamberlain at 780-963-8181, or tchamberlain@birdsell.ca.